The Folkerts Speed King SK-3 won the 1937 Thompson Trophy Race. This model was donated by the race sponsor. 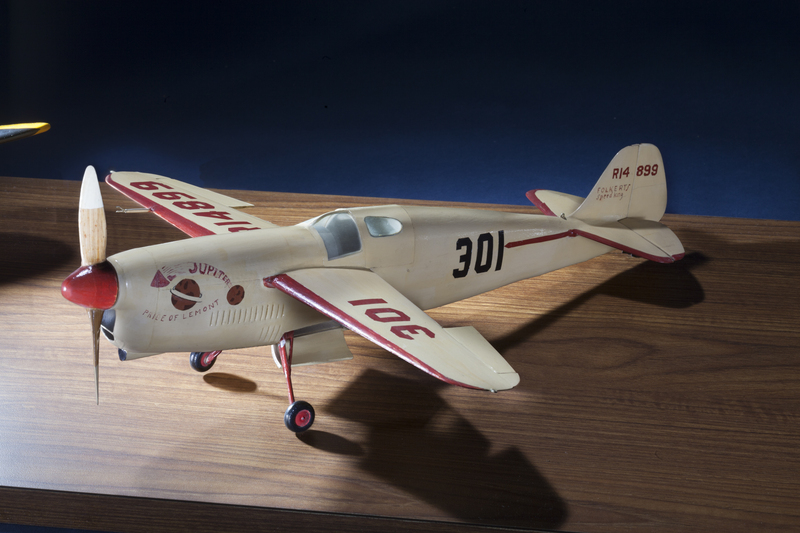 Clayton Folkerts was a self-taught designer who created a series of racing airplanes in the 1930s. He built the Speed King SK-3 "Jupiter - Pride of Lemont" for mechanic Rudy Kling of Lemont, Illinois in 1937. Kling won the 1937 Thompson Trophy Race in the SK-3, but was killed when it crashed at the 1938 Miami Air Races. Thompson Products, who sponsored the race, donated this model. Photo by Eric Long, Smithsonian National Air and Space Museum (NASM 2014-04803).